Break out the Lasso of Truth and feast your eyes on the latest trailer for Wonder Woman! Many people have some understandable hesitation about the Wonder Woman movie, given the last couple of outings in the DC Extended Universe from Warner Bros., but with each bit of new footage it seems harder and harder to believe that this movie can be anything but great. This latest trailer is no exception and should have Wonder Woman fans feeling good about what's on the horizon. Warner Bros. released this latest, action-packed trailer online today after first teasing it yesterday with a couple of brief clips. Even in those brief clips, it was clear that this trailer was going to feature a ton of new footage. In this latest trailer for Wonder Woman, we get to see a good bit of the island of Themyscira, as well as Robin Wright as General Antiope. 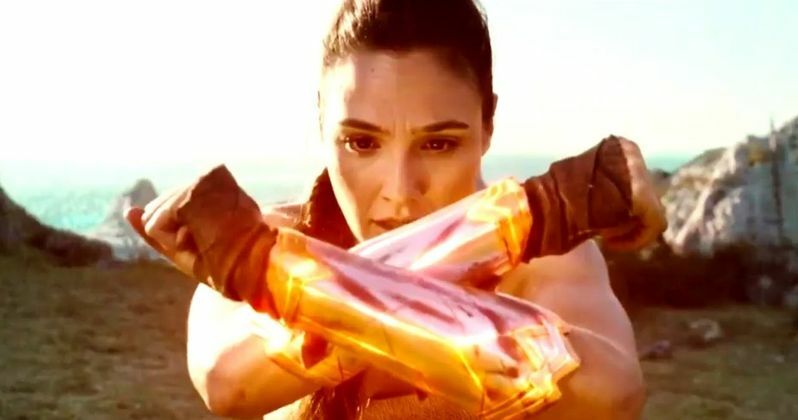 She is clearly powerful, but it looks like Diana Prince is even more powerful, which shouldn't come as a surprise to those familiar with the world of DC Comics. Here is the official synopsis for Wonder Woman. "Before she was Wonder Woman, she was Diana, princess of the Amazons, trained to be an unconquerable warrior. Raised on a sheltered island paradise, when an American pilot crashes on their shores and tells of a massive conflict raging in the outside world, Diana leaves her home, convinced she can stop the threat. Fighting alongside man in a war to end all wars, Diana will discover her full powers...and her true destiny." It is no secret that many folks were less than thrilled with Batman V Superman: Dawn of Justice and Suicide Squad. At best, they could be considered divisive, but still very profitable. Up to this point, there had been some conflicting reports from those who had seen Wonder Woman footage, with reactions ranging from pretty negative to very positive. Recently, some select members of the press were shown a chunk of the movie and the reaction to what they saw was largely positive. That coupled with this trailer seems to point to Warner Bros. possibly, finally getting it right with the DCEU. There is a lot riding on Wonder Woman and if the movie is good, many of the sins of the past could be forgiven, or at least less present in our minds. If it is bad, it could put the studio in a very compromising position moving forward. Expectations are high, but fans have good reason to be encouraged for now. The cast for the movie includes Gal Gadot, Chris Pine, Robin Wright, Connie Nielsen, David Thewlis, Elena Anaya, Danny Huston, Ewen Bremner and Lucy Davis. Wonder Woman is directed by Patty Jenkins with a script from Allan Heinberg and Geoff Johns. The Wonder Woman movie is set for release on June 2. Be sure to check out the latest trailer for yourself below.